I found this salad originally in the College Vegetarian Cooking, my go-to guide for quick and easy vegetarian recipes. Over time, I’ve tweaked it a bit and tried to make it a little more robust and healthier. It’s delicious and fresh for a summer barbecue, so put it on the menu for your upcoming summer fun. Cook the pasta for 8-10 minutes, until it’s cooked to your liking. 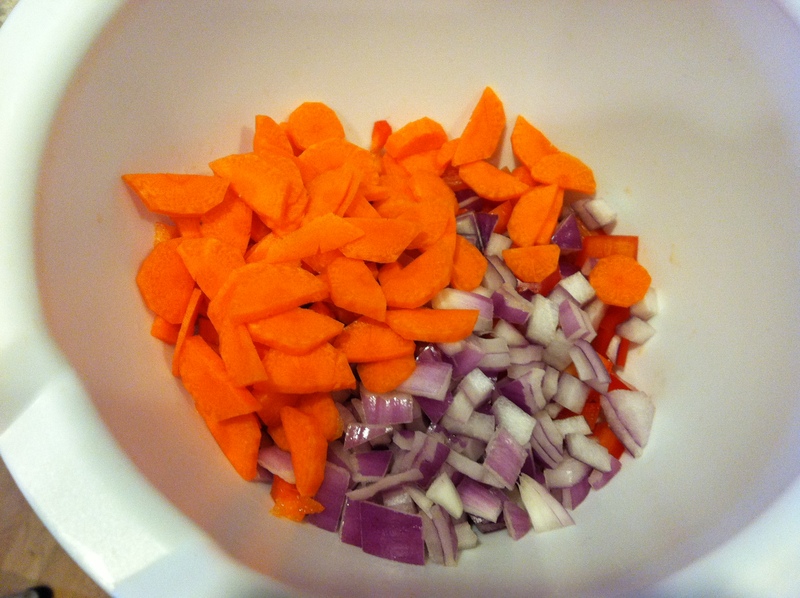 While it’s cooking, chop the carrot, red pepper, and red onion into small pieces. 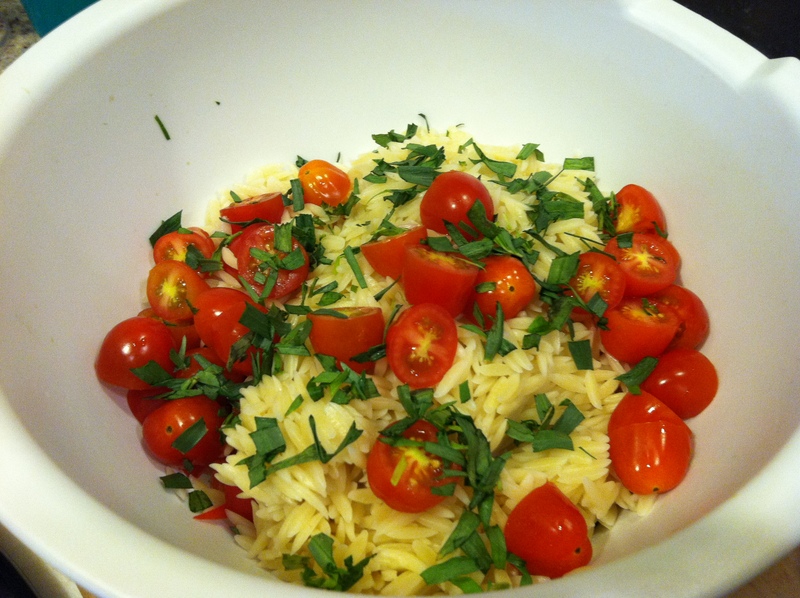 Add the cooked orzo, then the chopped tomatoes and tarragon. In a small bowl, whisk together the olive oil and lemon juice and then pour into pasta mixture, making sure to stir well and coat all the pasta. Add feta on top and serve over spinach greens. 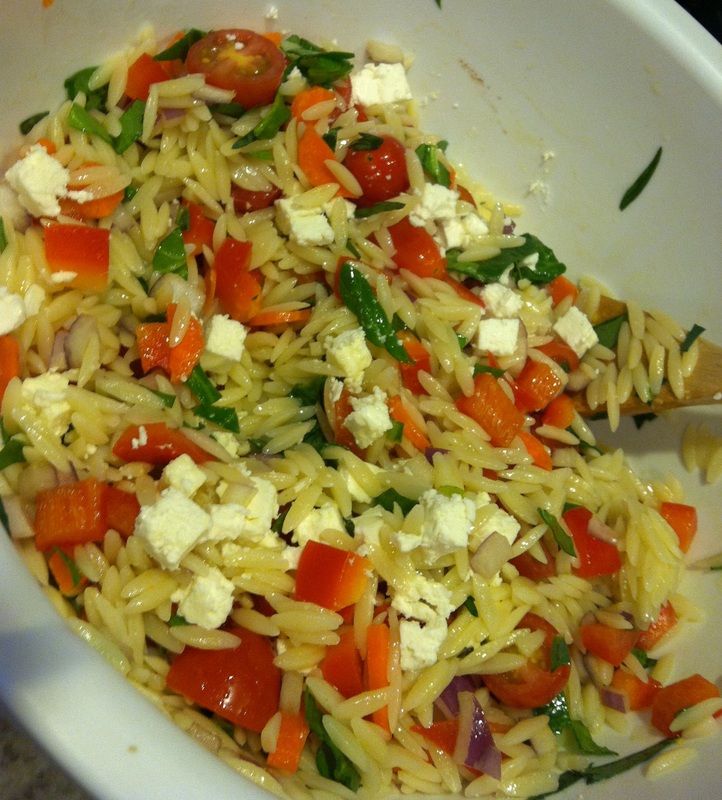 LOVE feta… Def trying this! If you like goat cheese, we have a bunch of great recipes on our site! Trying this, thanks for sharing! This looks like a fabulous summer salad treat!